Serifos is a marvellous island in the Cyclades Cluster that is the perfect place for both peaceful and stimulating vacations. It is ideal for all types of visitors, as it possesses a well-developed tourist infrastructure that caters for all tastes. It has breathtaking landscapes and over 70 wonderful beaches, attracting many nature aficionados and people who love basking in the sun and swimming in azure waters. Its close proximity to Piraeus Port in Athens makes Serifos one of the most popular island getaways for visitors from Greece and abroad. 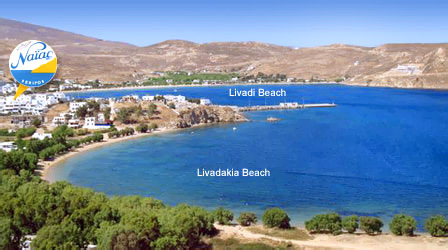 On this page you are provided with a map of Serifos Island and information about the seaside resort of Livadi, Serifos sightseeing and Serifos beaches, as well as distances of the Naias Hotel Rooms from various important locations on the island. 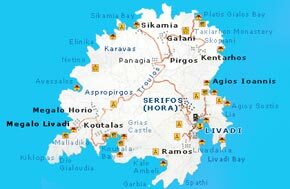 Apart from Livadi and Chora, the island of Serifos has many other sights, which you will find on your map of Serifos, including the Gria Castle, the Hellenistic White Tower and the Cave in Koutalas, as well as the houses in the abandoned village of Pyrgos. Serifos is celebrated all over the world for its amazing beaches and crystal-clear waters. While staying at the Naias Hotel, guests can visit Livadi Beach, as well as the stunning beaches of Livadakia, Avlomonas, Lia, Agios Sostis Agios Ioannis, Psili Ammos and Karavi, all of which are located close to the settlement of Livadi. If you want to explore the beaches that are located in other parts of the island, we recommend marking the following Serifos beaches on your map of Serifos: Avessalos, Koutalas, Malliadiko, Megalo Livadi, Platis Gialos, Sykamia and Kendarchos Bay. Don’t miss trying the local delicacies of the island at the quaint tavernas, restaurants and ouzeries that are scattered along the seafront and in the picturesque winding alleyways. Some favorite dishes are ‘revithada’ (baked chickpeas), ‘marathotiganites’ (fried fennel pies), ‘loutza’ (sundried pork) and locally-produced cheeses. 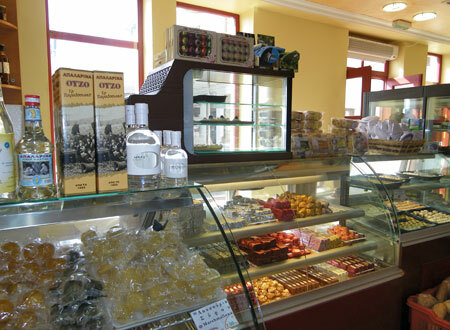 Right in the heart of Livadi, Serifos discover our bakery - patisserie and savour all the toothsome delicacies we create just for you using the freshest ingredients. 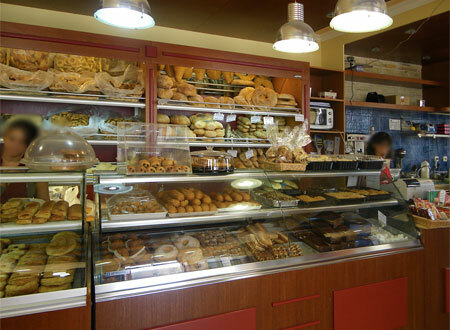 Try our fresh local bread and combined it with fresh milk, ideal for a healthy breakfast. Choose among our great selection of snacks such as sandwiches made on the spot, cheese and spinach pies, lovely doughnuts and cakes, as well as your favourite coffee, to take along to the beach. 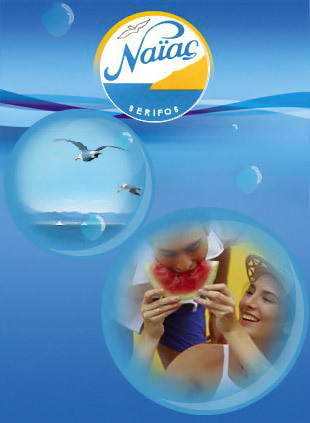 Relish our great ice-creams and if you are fond of local products you should definitely get some of our traditional Serifos almond sweets!